ON Semiconductor Corporation and Fairchild Semiconductor International, Inc. jointly announced today that ON Semiconductor has successfully completed its previously announced $2.4 billion cash acquisition of Fairchild. On September 16, 2016, ON Semiconductor received confirmation that clearance related to the completion of its proposed acquisition of Fairchild from the Ministry of Commerce in the People’s Republic of China had been obtained and that ON Semiconductor was entitled to close the transactions under PRC law. As such, the conditions to the acquisition of Fairchild relating to the termination or expiration of required waiting periods, and receipt of required approvals, under applicable antitrust laws were fully satisfied and ON Semiconductor’s tender offer to purchase all of the outstanding shares of common stock of Fairchild for $20.00 per share in cash (the “Offer”) expired as scheduled one minute following 11:59 p.m., New York City time, on September 16, 2016 and was not extended. Computershare Trust Company, N.A., the depositary for the Offer, advised ON Semiconductor that at the time of the expiration of the Offer, approximately 87,979,761 shares of common stock of Fairchild (not including 7,327,977 shares tendered by notice of guaranteed delivery for which shares have not yet been delivered) were validly tendered and not properly withdrawn pursuant to the Offer, representing approximately 76.6% of the outstanding shares of common stock of Fairchild. In accordance with the terms of the Offer and the merger agreement, all such shares (and any additional shares tendered by guaranteed delivery unless actual delivery does not occur) were irrevocably accepted for payment, and paid for, earlier today. Immediately following the payment for the tendered shares, ON Semiconductor and Fairchild completed the acquisition of Fairchild by merging it with a wholly owned subsidiary of ON Semiconductor pursuant to which all remaining Fairchild shares (other than shares directly owned by ON Semiconductor or Fairchild or their respective subsidiaries and shares held by stockholders that are entitled to and properly demand appraisal of such shares under Delaware law) were converted into the right to receive $20.00 per share in cash, without interest and less applicable withholding taxes – the same price that was paid in the tender offer. As a result of the Offer and the merger, Fairchild ceased to be a publicly traded company, its common stock will no longer be listed on NASDAQ, and Fairchild became a wholly owned subsidiary of ON Semiconductor. The acquisition is expected to be accretive on a GAAP EPS basis in the second half of 2017 and immediately accretive on a non-GAAP basis. ON Semiconductor expects to achieve annual cost savings run rate of $160 million by the end of 2017, $200 million by the end of 2018, and $225 million by the end of 2019. The cost savings targets are based on Fairchild’s 2015 annual results. ON Semiconductor today also announced a new organizational structure, which reflects the evolution over the years of ON Semiconductor’s product portfolio to highly differentiated power management, imaging, and analog solutions from standard products. The new organization is comprised of three reporting units – Power Solutions Group, headed by Bill Hall, Analog Solutions Group, headed by Bob Klosterboer, and Image Sensor Group, headed by Taner Ozcelik. The operations of System Solutions Group have been absorbed in the three reporting units. 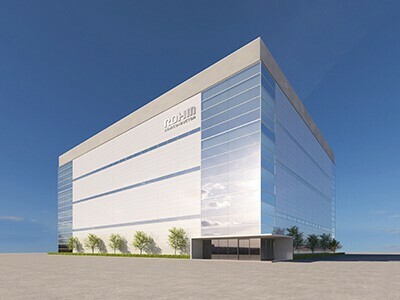 GE Ventures and SHINKO ELECTRIC INDUSTRIES CO., LTD. (SHINKO) announced that SHINKO has been granted a patent license and technology transfer of an advanced embedded packaging solution for power electronics called Power Overlay (POL).This patent license and technology transfer deal, signed in early 2015, is a strategic collaboration between GE and SHINKO in both technology and business development. 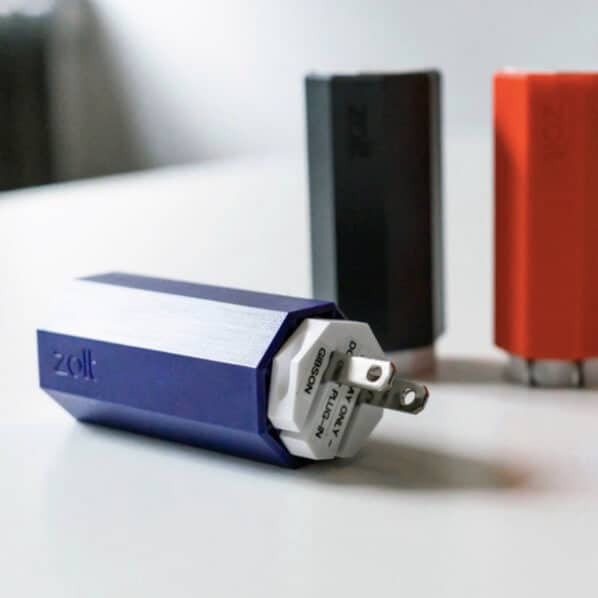 Developed by GE Global Research as part of a major GE focus in power electronics research over the last decade, POL has been licensed to SHINKO to industrialize the packaging platform to transition POL for manufacturing efforts to be utilized by GE and others. 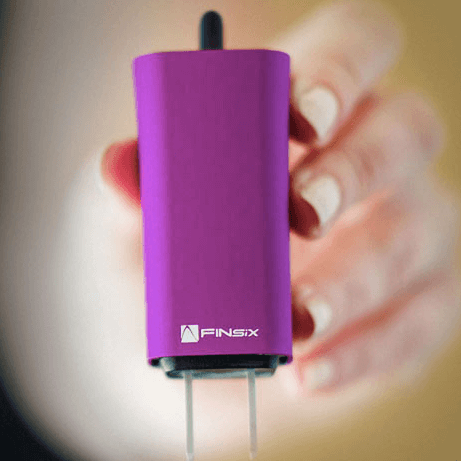 The platform enables higher efficiency and power density with reduced parasitics, and greatly impacting the power, telecommunications and consumer electronics industries. 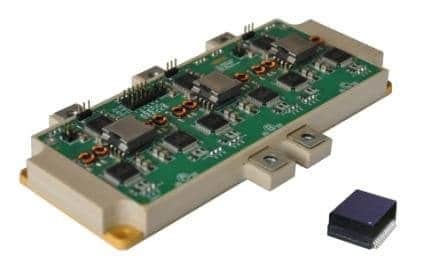 Power modules designed with POL have proven to have power densities up to 50% higher and efficiency improved up to 10%. “GE is extremely pleased to work with SHINKO on the commercialization of the POL technology – SHINKO brings world class manufacturing process and ability to transition new technologies to production,” said Pat Patnode, President of Licensing for GE Ventures. GE Ventures accelerates innovation and growth for partners by providing access to GE technologies and inventions through licensing and joint development partnerships. This advanced microelectronics packaging technology is being licensed to leading global manufacturing partners to provide advanced solutions back to businesses worldwide and also to GE, as part of the GE Store. SHINKO is a worldwide semiconductor packaging supplier with diverse technology driven initiatives and industry leading manufacturing capabilities. The company is currently testing the POL packaging platform, with plans to release solutions in 2016. 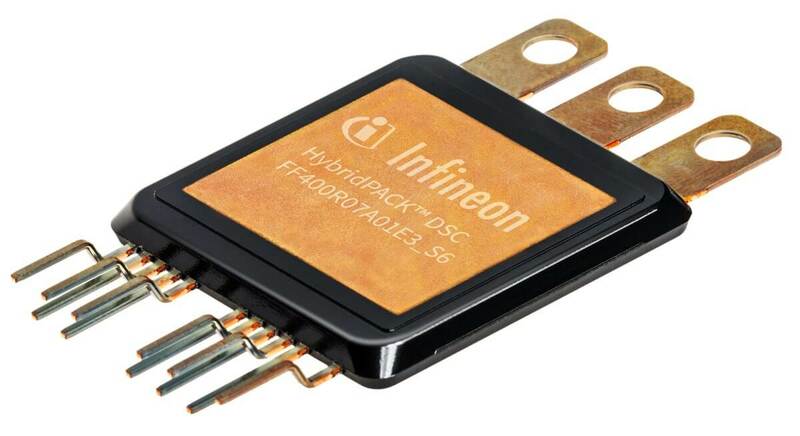 Infineon Technologies AG presents its latest power module family HybridPACK™ Double Sided Cooling (DSC) for hybrid and electric vehicles at the PCIM 2016 tradeshow. The new power modules have dimensions of 42 mm x 42.4 mm x 4.77 mm. They target HEV applications such as main inverters and generators with a typical power range of 40 to 50 kW. In order to support higher power, they can be used in parallel configurations. With only 15 nH, the stray inductance is very low while blocking voltage was increased to 700 V. Both factors support the development of inverter systems with reduced switching losses of about 25 percent and very high efficiency. Thanks to the integrated isolation, the module can be directly attached to a cooler without external isolation thus simplifying system integration. Each integrated IGBT chip is equipped with an on-chip current sensor for overcurrent protection. In addition, an on-chip temperature sensor provides derating and fast shut-off in case of over-temperature. The direct and precise sensing improves system monitoring. It also helps to simplify the functional safety architecture of automotive system suppliers and car manufacturers. By combining double sided chip cooling with electrical isolation of the heat sinks, the thermal resistance R thJC of the HybridPACK DSC is significantly reduced to 0.1 Kelvin/Watt (K/W). In comparison, today’s power module HybridPACK 1 has a thermal resistance of 0.12 K/W. The HybridPACK DSC module technology also improves the electrical performance. Stray inductance is one major parameter, defined by module size and the careful routing of the current path through the module. The HybridPACK DSC value of only 15 nH is about 40 percent lower compared to reference modules. The result is a reduction of switching losses by 25 percent. The first member of the HybridPACK DSC family is the FF400R07A01E3_S6 implementing I Cnom of 400 A and V CES of 700 V in half-bridge configuration. Engineering samples will be available in September 2016. A further product in the family implementing I Cnom of 200 A and V CES of 700 V in a full-bridge configuration will be offered as engineering samples in October 2016. Further variants featuring different power ranges are under development.